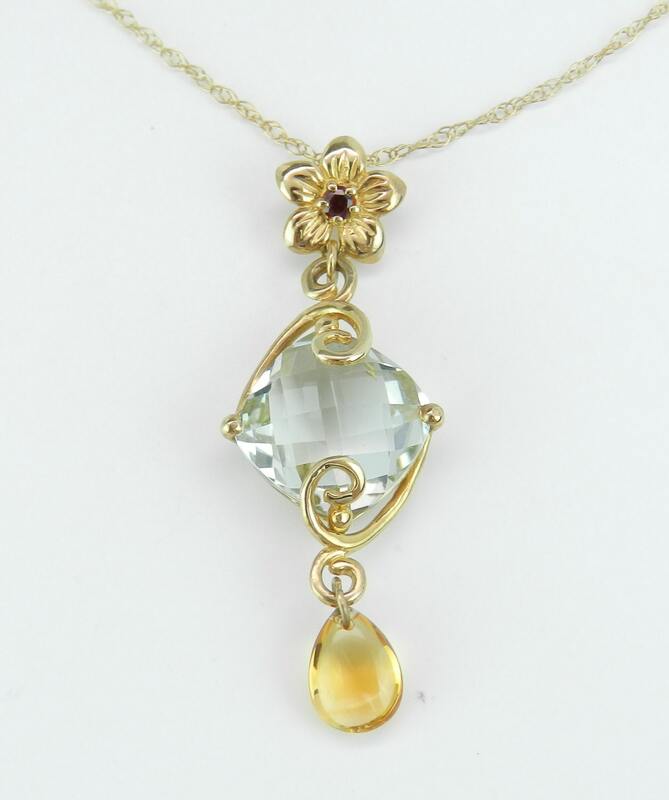 10K Yellow Gold Green Amethyst, Citrine and Garnet Dangle Drop Flower Necklace Pendant. 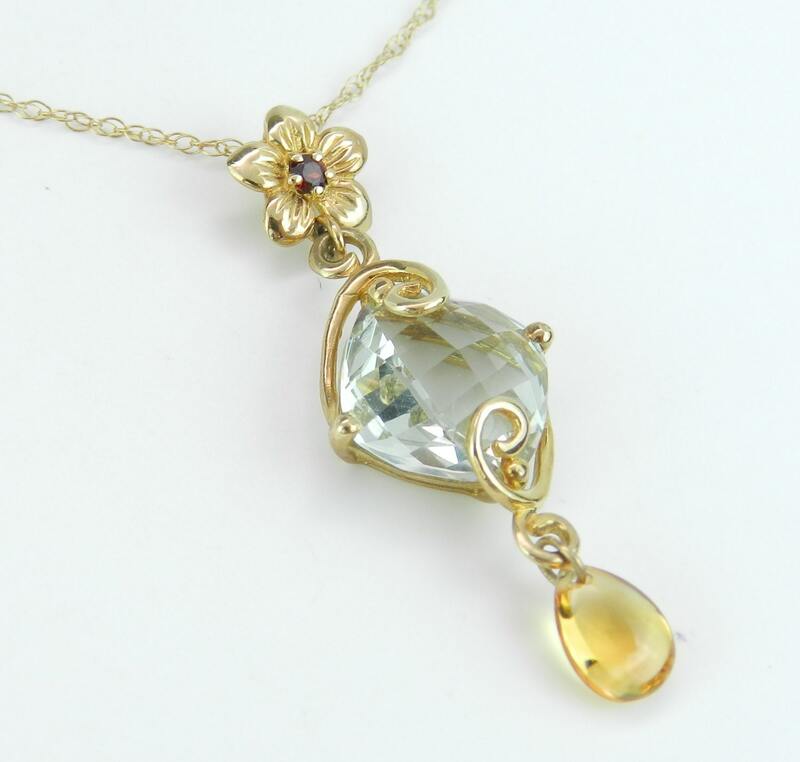 There is one Checkerboard Cushion Cut Green Amethyst set in the center of this necklace. This Green Amethysts is a pale light green color, measures 10 X 10 mm each and weighs 3 1/2 carats. 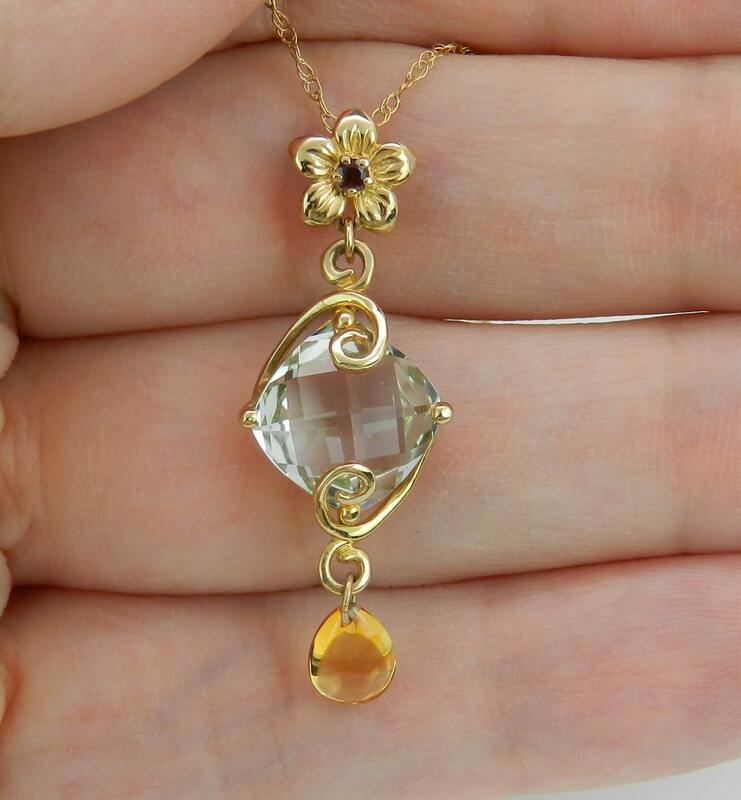 There is also one Garnet set in the flower of this pendant and one Citrine Briolette hangs off the piece. This necklace is 10KT Yellow Gold and comes with an 18" 10K Yellow Gold chain. 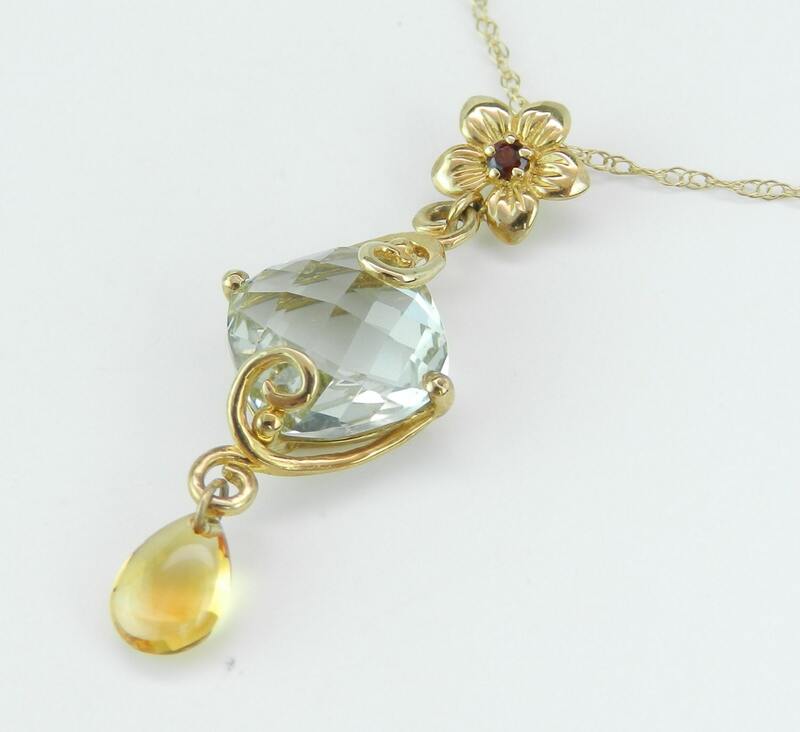 This necklace weighs 2.4 grams and the pendant measures 35 mm in length. 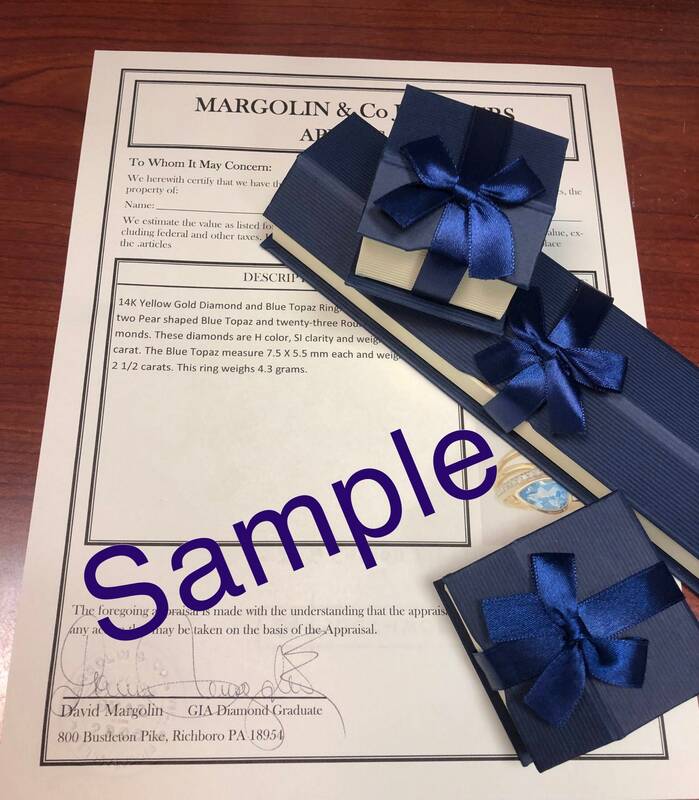 These necklace will be accompanied by an appraisal written by a GIA Certified Diamond Grader with the retail replacement value of $1,395.00. I will ship this necklace promptly in a gift box.